Purpose: To provide educational scholarships for Edgewood High School graduates who have a Bean Blossom Township School affiliation. 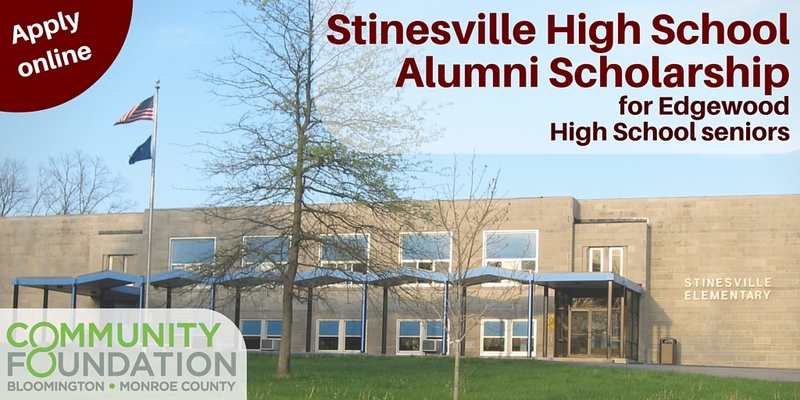 Sponsor: Community Foundation of Bloomington and Monroe County, Inc. / Stinesville Alumni Scholarship Fund. d) reside in Bean Blossom Township if Stinesville Elementary School would cease to exist. Selection Criteria: Consideration will be given for academic as well as other achievements, leadership activities, extra-curricular skills, financial need, and the student’s work record. Award amount: For the 2019 cohort, it is expected that there will be two (2) awards of $2,000.00 each. Deadline is 2/28/19 at 11:59pm.